The 2019 MOOC in Arts, Entertainment and Media Law from the Diploma Centre at the Law Society of Ireland provides participants with a short yet incisive overview of law, business practices and commercial realities for those working and contributing to the arts, entertainment and media industries. So whether your passion is painting, photography, producing, performing, writing, reporting, or whether you act for or help someone with that passion, join us for an unrestricted view of the highlights! CPD Hours: CPD credit may be claimed and verified by Certificate of Completion. See FAQ below. Course structure: Week 1: Creation Nation – the state of arts, entertainment & media in Ireland and the role of the State in developing & promoting it. Week 2: Publish or Perish – the rights and risks of publishing content and the responsibilities of participants. Week 3: It’s Complicated – The art of the deal – the contractual challenges to achieve commercial success. Week 4: “………And then along came technology” – the impact of technology on the sector and fast-forward from here. Week 5: “It’s a Wrap – Or Is It – The Show Goes On” – the current issues and future opportunities for the sector. If you have any queries email the Diploma MOOC team at mooc@lawsociety.ie. A MOOC is a free online course that is open to all and specifically designed for large numbers to participate. To date, the Diploma Centre’s MOOCs have attracted over 10 000 participants from over 70 countries since they first launched in 2014. Such courses feature online recorded and streamed presentations, together with interactive discussion forums that allow participants to engage directly with our expert presenters. This course is open to everyone and anyone who has even a general interest in learning more about arts, entertainment and media law in Ireland. It will of course be of particular interest to legal professionals, trainees, barristers, students and to those working in or for the arts, entertainment or media industries either in a professional or amateur capacity. We also warmly welcome participants from other disciplines and jurisdictions who have an interest in learning more about arts, entertainment or media from an Irish perspective, for comparative purposes. Registering is easy – just click the link. The course runs over a 5-week period with materials for the weekly modules released every Tuesday in the form of a number of short video presentations from expert contributors. These are supported by suggested readings, quizzes, and ‘live’ online Q & A sessions with the relevant experts. 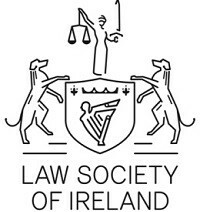 Participants who successfully complete weekly tasks and collect 4 ‘badges’ may opt to pay a small administrative fee to obtain a Certificate of Completion awarded by the Law Society of Ireland. The future for the sector, market openings and career opportunities. Do I have to go online at 6pm every Tuesday? You are not required to go online at the time the videos are released as they will remain available for the duration of the course but you are encouraged to view them as soon as possible so that you can partake in the discussion forums. What is the estimated weekly workload? Each module contains an hour to one and a half hours of content in the form of a number of short videos. In addition each week on the Friday afternoon we will have an expert on hand in a live question and answer session who can address any relevant questions you may have arising from that topic. We will provide you with a number of links for suggested reading. The amount of time you need to set aside is up to you, but at least dedicate one hour to watch the videos and set aside some additional time to post, read and/or reply to other posts on the discussion forum. You might also want to try to complete the quiz at the end of each module. The beauty of the MOOC is that you can dip into it when you like and watch, engage and learn at your own pace. Can you tell me if there’s going to be any coursework that will need to be submitted? No coursework will need to be submitted. There will be a self-assessed quiz each week covering the course content. What are the criteria for successful completion of the course? Course participants can apply for the digital Certificate of Completion. Watched all of the course content. Successfully completed all multiple choice quizzes (with a mark of 80% or higher) and received your 4 badges as a result. Actively engaged with the Discussion Forum (or Q & A) by posting at least 3 times to any of the forums over the duration of the course. The posts need to be meaningful, more than one-sentence contributions, and at least 50 words each. The posts may be made on any forum, i.e. there is no obligation to post on multiple forums, provided you have made three posts in total. Why do we have a Certificate of Completion? Arising from our previous experience of running MOOCs, and also the practice of other MOOC providers, some participants may want to obtain an official document verifying their participation in and completion of the MOOC. Participants can apply to purchase an official digital Certificate of Completion from the Law Society of Ireland, with digital signatures provided by the Director of Education and Chairperson of the Education Committee. Please note that the Certificate will be electronic, though it will be in a format available for you to print at home. This is optional and the fee is €95 to affray administrative costs as we need to verify each individual application for a certificate separately by reviewing participation on the MOOC site to ensure applicants have completed all the badges. Participants can complete the badges and quizzes at any stage up to the cut-off date. There are 9 CPD points available for completing the MOOC in Arts, Entertainment and Media Law. The breakdown for this is 7 general CPD points only (i.e. no points for Regulatory/Management etc.). Please note that the Certificate of Completion is not required for CPD purposes as you may collate your own proofs to evidence CPD.